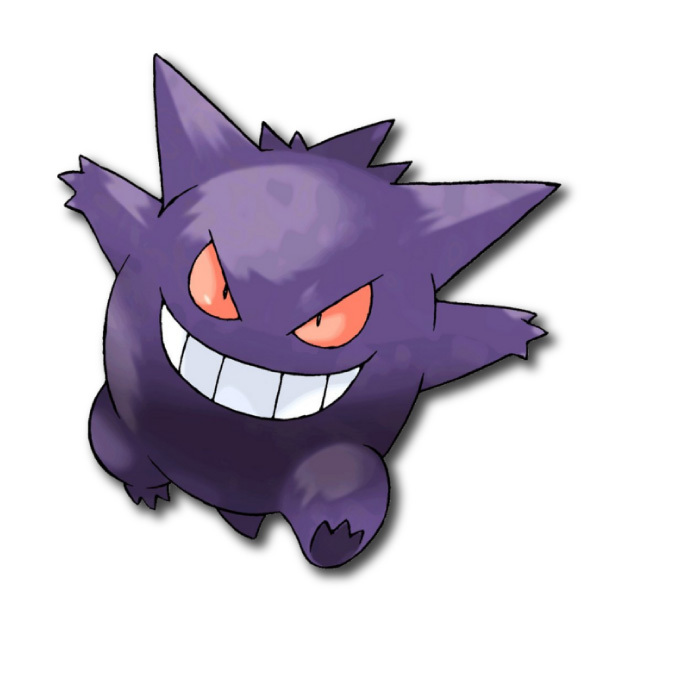 Gengar is a round-ish, purple Pokemon with big spikes that appear to be ears on his head, and smaller spikes running down his back. With a pleasantly quick 110 Speed and a very nice 130 Special Attack, Gengar has the highest Sp. Attack of all Poison types and is tied for the fastest Ghost. This, coupled with a moveset with great type coverage makes this guy a really great Special Sweeper. It’s been brought to my attention that you, the readers, would enjoy it if I included a preferred moveset for each of my Pokemon of the week, so now’s the time when I’ll share my Gengar moveset, as well as my preferred Nature and EV’s. Alright. I prefer Timid nature over, say, Modest, because I like to give him the speed boost just so he can have a better shot at outspeeding sweepers that might be a little bit quicker than him. I gave him standard Special Sweeper EVs, bringing his final Speed to 350, and final Sp. Atk. to 359, not counting IVs. With this moveset you get the standard STAB with Shadow Ball and Sludge Bomb, which, along with Focus Blast, cover all of your weaknesses. You also get standard nice type coverage for a sweeper with Thunderbolt, but this could easily be swapped out for any special attack, based on your personal taste. Well, everyone, I feel like I've taken a more competitive spin on this article. Please tell me your thoughts on this format in the comments below, as well as leaving any suggestions for another Pokemon of the Week. You can also always email me at davedwtho@gmail.com for comments and suggestions. Until next time, everyone, I wish you the best of luck in your adventures. *Please ignore this, David is stupid and tried writing this moveset based on a loose memory of Gengar's movepool. Please excuse my stupidity.